The Lotus Notes Address Book Converter allows you to convert multiple contacts from Notes address book to Outlook PST, Excel or vCard file formats respectively. Just select the names.nsf file storing all your Lotus Notes contacts and software will export them at once. After adding Lotus Notes names.nsf file, software scans the entire file. Once the scanning finishes, you can preview stored contacts with all details like business address, business contacts information, personal details, briefcase or advanced details. The software scans and lists all Notes contacts in an alphabetical order. All the contacts will get listed under respective alphabet category from A to Z. Contacts with different initials will get listed under "other" field. This makes it easier for you to locate particular contacts. Lotus Notes Address Book Converter allows you to save contacts in three different file formats. You can save Notes contacts as Outlook address book, Excel spread sheet or as vCard file. You can choose any of these file types suiting your convenience to save Lotus Notes address book contacts. The software allows you to create a PST file for all the contacts in Notes address book. Two different options are provided to select the format of Outlook PST file in which you would want to save contacts. You can either choose to save contacts in Outlook 2000/2002/XP format or save in MS Outlook 2003 and later format. After previewing the contact details you need to choose a desired location for saving output copy of contact. You can choose any desirable location of your choice as the target location on your machine for saving contacts after conversion in Outlook, excel, or vCard formats respectively. 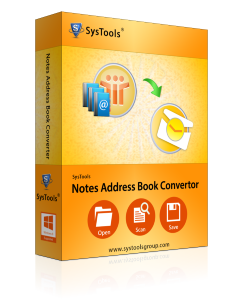 Demo version of Notes Address Book Converter facilitates you with the conversion of 15 contacts from Lotus Notes Address Book into Outlook PST file. How many Notes address book files can the tool convert at a time? 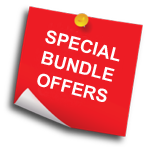 You can only convert one names.nsf file into PST, VCF or XLS format with this software in a go. Further, selective conversion of Notes contacts can be performed. Which Lotus Notes version does the software support? This software supports Lotus Notes v9.0 and all below ones as well. Please make sure Lotus Notes client is properly installed and configured with a valid or dummy POP3 based profile. Is it possible to use the tool on my Windows 8.1 machine? I want to convert my Notes contacts to Outlook PST. Is it necessary to have Microsoft Outlook installed on my machine for the same? Yes, for saving Lotus Notes contacts to Outlook PST you need to have Outlook installed on the respective conversion machine. You can install Outlook (32-bit) with POP3 configuration regardless of its version. What are the chances of data missing from contacts after conversion? There is no chance of your data going missing during conversion. The tool is highly efficient and retains all contact information throughout the conversion. Is it possible to use resultant PST on Outlook 2013 if yes, how? After conversion software creates a Unicode type PST file by default.It can further be used in Outlook versions including; 2003, 2007, 2010 & 2013 (32-bit). Is it possible to convert a bulk number of contacts at once? My names.nsf file contains upto 5000 contacts. Will your software be able to convert this many contacts at once? Yes, software can convert any size of names.nsf file; consisting of any number of contacts into Outlook PST, XLS or vCard format. It does not bother users with file size limitation issues. I am quite happy with the software performance and even more satisfied with the file saving options it provides. Excel, VCF and PST as the saving option for Notes contacts show that the application has been made quite precisely for which the developers are to be praised. It was a relief to find out that installation of Lotus Notes application wasn't necessary for converting contacts from Names.nsf file to VCF file. I had took my office account names.nsf for conversion and performed the conversion on my home computer. The service proved quite helpful. Thanks!